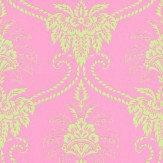 Anna French offers an array of bright and bold wallpapers that span over thirty years of artistic creation. 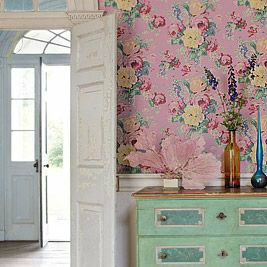 The wallpaper designs of Anna French are a perfect mix of traditional with modern that create unique and eye-catching designs for interiors. A pretty traditional trellis floral and curlicue damask brought right up to date with a stunning colour combination of mint green on vivid pink – a true wow factor. Please ask for sample for true colour match. 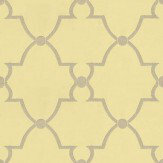 A pretty fretwork trellis design in metallic silver grey on a soft matt yellow background. Paste the wall. Please request sample for true colour match. 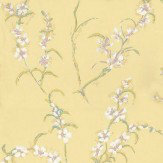 A pretty floral design with an all over pattern of sprays of Japonica flowers, with a hand painted effect. Shown here in white and pink on a soft matt butter yellow background. Paste the wall. Please request sample for true colour match. A stunning champagne metallic gold wallcovering with a delicate leaf trail and bold circular flowers in cream glass beads - stunning. 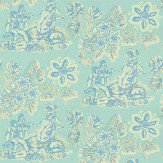 Wide width- pattern repeat 61cm. Paste the wall. Please request sample for true colour match. 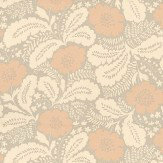 An all over floral design with unusual salmon peach flowers and cream foliage on a pale metallic gold background. Please ask for a sample for true colour match. 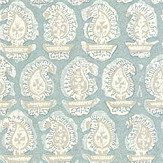 A pretty ogee trellis all over design with containing delicate gold motifs set on an aqua fabric effect background. Wide width. Please request sample for true colour match. A pastiche of a pastoral scene with a shepherdess on a see saw set against different scale flowers. Shown here in pretty shades of turquoise blue with high gloss detail. Please ask for sample for true colour match. Wide width. 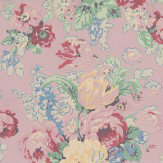 A stunning glorious profusion of flowers in soft muted colours as if hand painted on a vibrant sugar pink background. Please ask for sample for true colour match. 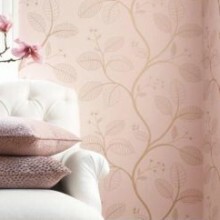 A modern interpretation of a jacquard print, this paper has the design in a stunning pink flock on a rich irridescent background. You really must ask for a sample to appreciate this stunning effect and for a true colour match. Another classic given a modern interpretation with the use of metallic inks. 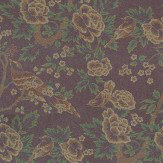 Songbirds in blossom trees – shown in gold and green on a purple background all with a metallic shimmer. Paste the wall. Please ask for sample for true colour match. 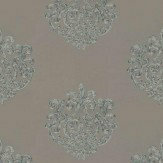 A pretty fintricate damask motif design in a distressed metallic effect on a matt warm dark taupe brown background. Wide width. Paste the wall. Please request sample for true colour match. 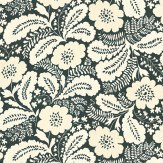 An all over floral design with soft cream flowers and off white foliage on a black background. Please ask for a sample for true colour match. 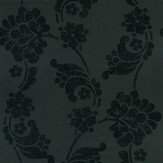 A modern interpretation of a jacquard print, this paper has the design in black gloss with inlaid glitter on a matt black background. You really must ask for a sample to appreciate this stunning effect and for a true colour match. 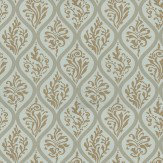 A smart collection of wide width wallcoverings, with an eclectic mix of patterns and styles in a muted palette of colours: robin's egg, grey, navy and beige with occasional reds. Allowing you to create a sophisticated look from room to room. 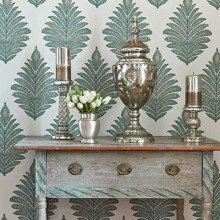 A small selection from Anna French's fresh Spring wallpaper collection is perfect for style conscious homes. 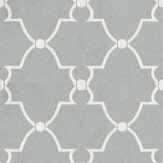 Sophisticated metallic ink effects combined with delicate detail create a soft, gentle collection of designs. 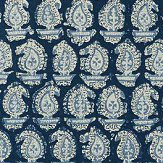 Some of the Anna French wallcoverings are wide width, so do check the details before ordering. Anna French is thrilled to present Wild Flora — where traditional designs delightfully mingle with modern twists: document designs dance on foils and nonwoven papers, flowers bloom into a reflective element and black with glitter transforms into a tarnished mirror effect. A beautiful collection of classic traditional designs with a French influence, given a modern look by the bold use of metallic inks, foils and brilliant lush colours. 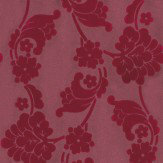 The design shown is the pretty signature floral Bouquet design.